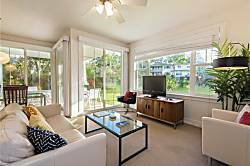 Plantation at Princeville is a centrally located town home development featuring spacious units, a nice swimming pool area with BBQ, a fitness room and small business center. 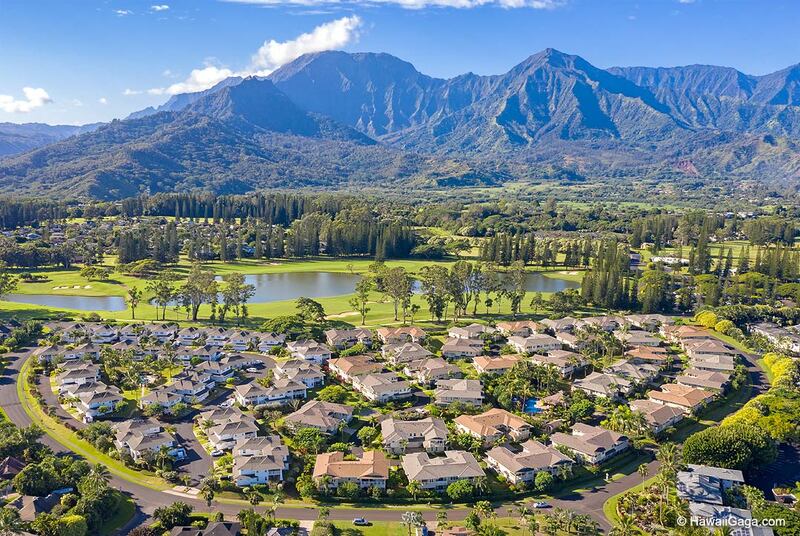 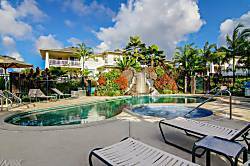 Although not within easy walking distance to any of Princeville's ocean attractions, guests will enjoy walking the streets of the residential area around the town home. 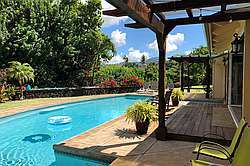 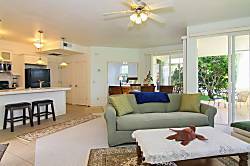 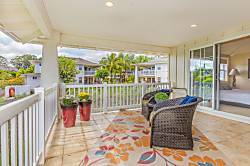 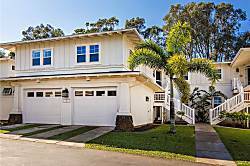 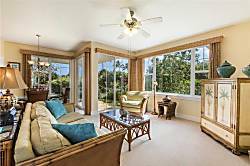 Plantation at Princeville units have air conditioning, a rarity in Hawaii and also garages. 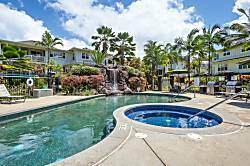 Nihilani is located on the same parcel of land right next door. 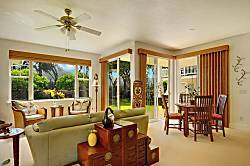 For those who want to escape and relax in one of the most luxurious, truly upscale accommodations on Kauai's incredibly beautiful north shore... this is the place. 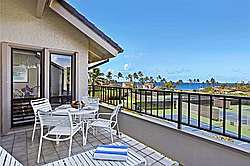 This exceptional Condo is brand new as of August, 2005. 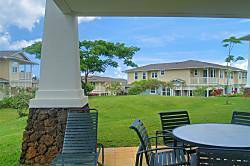 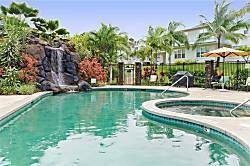 It is located along Pepelani Loop and adjacent to the Lakes golf course and Princeville Tennis Club. 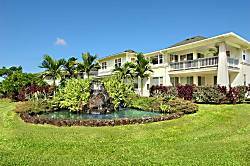 Natural moss rock and water features make a distinctive entrance and convey a stately address. 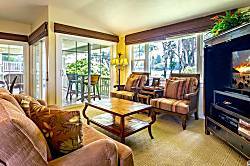 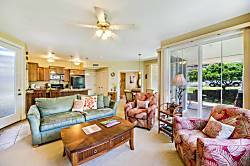 Plantations #1122 is a 3 bedroom, 3 bath condo with A/C throughout.